The washers and dryers at Girvin Coin Laundry are top-quality commercial equipment from Huebsch, which provide a superior clean and dry. We have fifteen washers and sixteen natural gas dryers for your convenience. 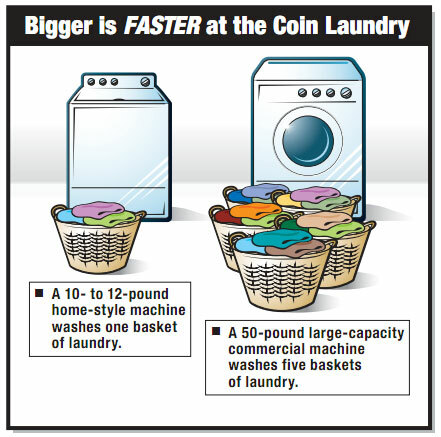 Our washers range in size from one load (twelve pounds of laundry) to four loads (fifty pounds of laundry). Our natural gas dryers handle thirty pounds each. This versatile commercial equipment allows you to easily adjust washing and drying cycles for a wide range of garments.